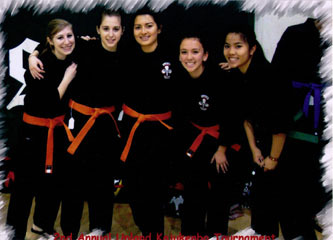 Welcome to Bunda's Kajukenbo website. Kajukenbo is a unique martial art style combining the techniques of KA-Karate, JU-Judo and Jujitsu, KEN-Kenpo, and BO-Chinese Boxing, or Kung Fu. It was founded in Hawaii in 1947 by Sijo Adriano Emperado, and is one of the most popular forms of self-defense practiced in the world today. We offer lessons for men, women, and children, in both group and private settings. Please feel free to browse the website to learn more, and contact us for more information. We are located in the City of Glendora, in the greater Los Angeles area.